The recreational program is offered for players ages 8 to 13. This program is not coed, and involves light travel. All skill levels are invited to participate. Teams in this program practice 1-2 times per week, and play games either Saturday or Sunday. Some of the games will be held at a home field in Manheim, and there will be some travel to neighboring towns. The goal of this program is to continue to encourage individual and team skills in a lightly competitive environment. 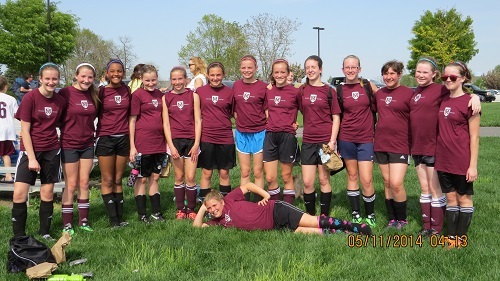 Recreational Girls teams play in the Lancaster Area Girls Soccer League	(LAGS for short). The teams play in 6v6, 8v8, or at the older U12 level 11v11 formats. Recreational Boys teams play in the Lancaster County Boys Youth Soccer Association (LBYSA for short). The teams play in 6v6 or 8v8 formats.